I came across these super-cute, über-pretty “cakepops” whilst hunting around on Facebook for inspiration for a friends wedding and felt I just had to share these with you! According to the Facebook Page, Cakepops are the latest trend to hit the cake industry in the USA. Are they cakes? Are they lollipops? YES and YES! Cake Pops are the best of BOTH worlds! What is a cakepop? A cakepop is a delicious, moist ball of cake, on a stick, covered in chocolate. 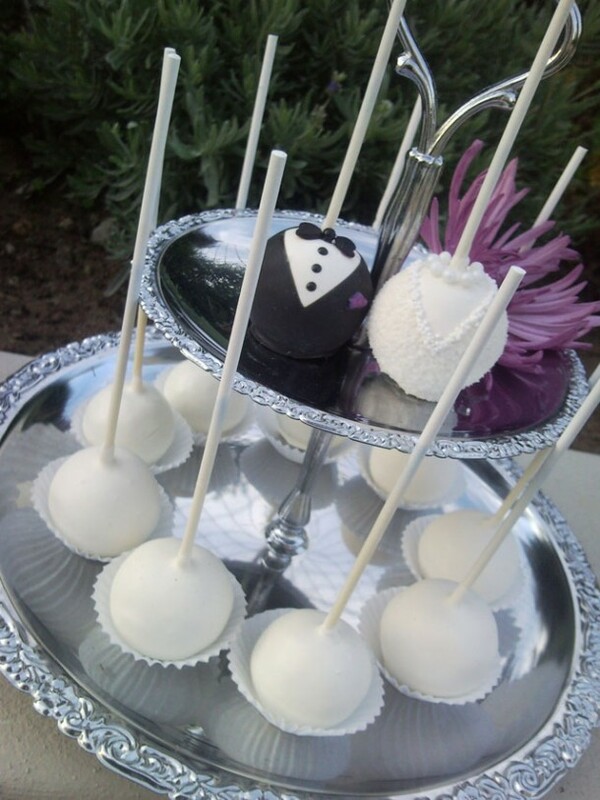 Cakepops are the perfect alternative to a traditional cake or cupcakes for your special occasion. Each cakepop is hand crafted and made to order. Perfect for childrens’ parties, birthdays, weddings, baby showers, dinner parties, holidays, and more! Cakepops come in 3 flavours, vanilla, chocolate and red velvet. Creative Cakepops specialise in custom cakepops. Small bites for all your big occasions! 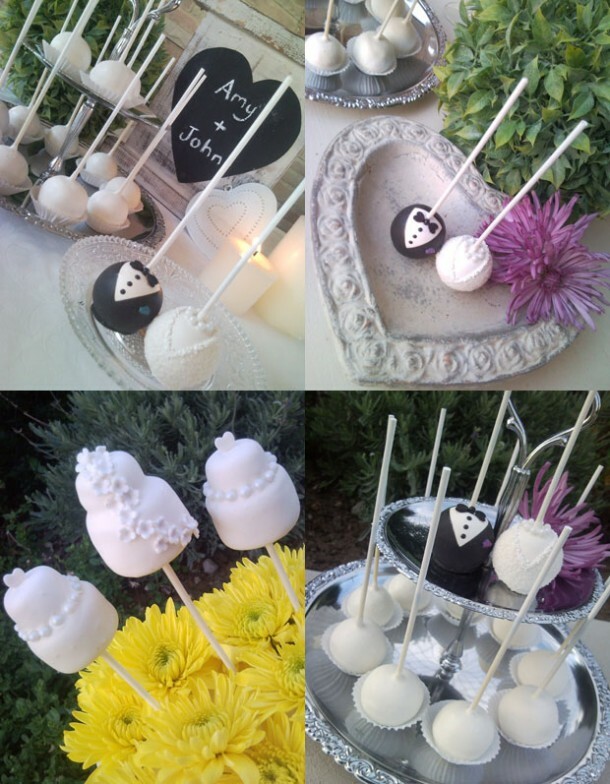 If you are in the Cape Town area and are interested in having Cakepops made for your wedding or special event, contact Juliet on Telephone +27 (0)83 419-4108. Love the wedding bow tie cake pops. Are you able to quote me on making 100 of these for a wedding in a tower form? Where are you located? In Durban I hope! and would like to get some info on your cake pops..